A Newberg restaurant that was slated to close has found new life as a buyer has stepped up to keep the business alive. 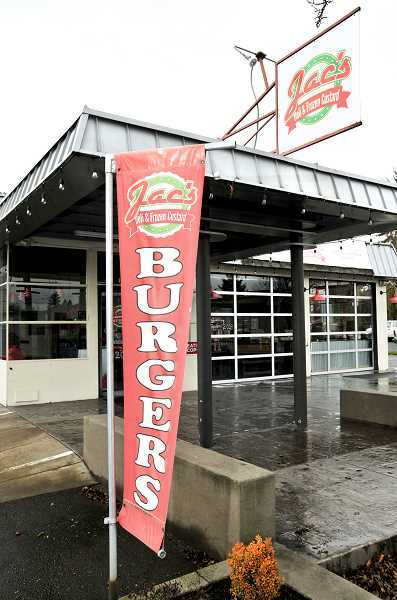 Jac's Deli and Frozen Custard, a local staple since 2012, was slated to close as owners Nick and Michelle Storm sought to focus on their family. In a Facebook post announcing the decision to close, the Storms wrote they "have to put our family first for the well-being of our kids. We have enjoyed our time getting to know our loyal customers and appreciate each and every one of you!" The Storms bought the business and reopened it in January 2018. However, roughly a year later, they were looking for a new owner to take over. And as luck would have it, they have found one. The restaurant announced that Becky Wallis and her mother Debra Bower would take over and rename the business Jac's Hometown Deli. Wallis has been posting on the restaurant's Facebook page throughout the end of December, asking customers for input on changes they'd like to see. For example, one post is about breakfast, saying breakfast has always been requested by customers, and Wallis and Bower plan to make it happen. In the announcement that Wallis and Bower were taking over, the two say they are planning to bring back many of the original recipes and bring in new ones too. The plan was for the new Jac's to open early this month. Jac's Deli has a fairly large menu, ranging from sandwiches to side dishes such as salads, waffle fries and truffle fries, burgers, gyros, soups and comfort foods such as macaroni and cheese and chicken tenders. Dundee City Hall will be closed Jan. 21 for Martin Luther King Jr. Day. The city of Newberg only lists that its compost depot will be closed that day.